A little about me before I respond further. I started out at a BMI of 41.9 and with a lap band I got down to a 17.5 BMI. That was in 06 before we knew what a horror lap bands would turn out to be. When I got to the point that I could not eat food with a band and started that appearance of a crack whore due to being so thin, I revised to a sleeve. For me, for my population, if we *can* eat, we *do* eat. I was not willing to remove the band and regain all that lard so I revised to a sleeve (below goal) to keep me from being big as a house again. That was in 6/08. Today I am a bariatric nurse, a US nurse living and working in Mexico, yes....... medical tourism but this is not like the Tijuana danger zone where it is a race to see who can kill the most people. I work for the best of the best in a safe city. I'm just heading off the uninformed opinions of, "Ewwwww, you went to Mexico? Are you still alive?" Uh, yes. Nine years and counting. Still a normal BMI as well. On to some comments.... WW may indeed have good results but I am not a fan. Com'on...WW depends on repeat business. It's nothing but a fad diet to ME. We all need to find a healthy eating lifestyle that helps us to achieve our goals and still stay satisfied. We do not need WW, Jennie Craig, TOPS, or any of the other nonsense. We need to learn about food, food triggers, and how to avoid them. Most people need to get down and dirty honest with themselves. I can't count how many patients are in utter denial. They SWEAR they eat like a bird but can't seem to get below a 60BMI. Seriously? It takes a LOT of calories to maintain a 60BMI body. I recall one patient who was a 60BMI and she swore up and down the ONLY food she ate on a daily basis was 1/4 of a skinless, boneless chicken breast. She decided, you see, that she was not eating enough thus she was in starvation mode. Facepalm..... Turns out she also owned a bakery. Hmm... She wanted a lap band. We don't do lap bands, they are dangerous and ineffective long term. If we place a band we *know* a few years down the road we will get them back for a revision so it's just not ethical to place a band. But I still asked her, if she was not eating enough how would restricting her intake even more help her to lose weight? On some level these people know the truth they just can't bring themselves to admit it. That's okay!! Not everyone is ready to change their eating habits or have weight loss surgery (wls). You have to be ready or it isn't going to work. Others swear their metabolism is dead and that is why when they eat an entire cake in 2 days they gain. ?? It is their metabolism and not the cake. Underactive thyroid.... Don't think so. The cake still played a role and with meds and normal labs, they can lose just like everyone else. 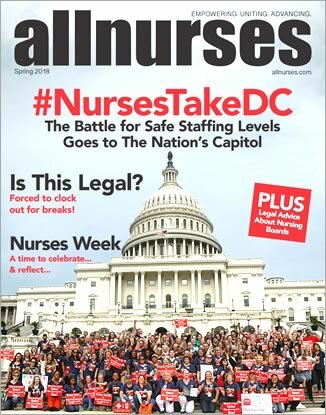 In my experience nurses are THE biggest offenders of the syndrome, "I don't have time for myself, I put everyone else in my life ahead of me including my patients." Bleh. Seriously, how much more time does it take to eat a cheese stick instead of a cheese cake? Obesity is a disease, nobody WANTS to be fat and if we could just diet and exercise, we would. BTDT. There is no cure for obesity but we do have excellent treatments and the best medical intervention today (statistically speaking) is surgery. Pills are an utter failure. ~~Then I read an extensive article in Time Magazine. It had shown that no matter what system was used to loose weight only about 3% kept it off for more than five years.~~ Come now, you are exaggerating! It's actually 4%. ;o) And that is assuming they can get it off at all but yes, stats show that once you hit a 30BMI you have about a 4% chance of losing to a normal BMI and maintaining that for 5 years. By the time you are a 30 BMI (obese) there are metabolic changes and it is just almost impossible to lose and maintain. Top off those metabolic changes with poor habits and it just plain does not work. ~~Since then I have been told to loose 100 lbs for a hip replacement to be preformed.~~ Yep yep yep, those joint replacements are designed for a normal BMI person. ~~ I looked into the Bariatric surgery and found that consistently people who had it done were happy with it for 7 years. but that most had regained the weight back in for those who had it over 11 years ago or more.~~ That is not necessarily true. Much depends on the surgery type. Bands and bypass that is probably very true. Not so with sleeves and DS. Bypass (RNY) used to be the gold standard merely because they didn't have many options. Medical science rocks and procedures have been improved drastically. Today the vertical sleeve gastrectomy is the #1 surgery type performed. Far less risk than bypass and the same weight loss and less regain to boot. But, that also depends on starting BMI. For higher BMI folks DS is the surgery type of choice. I think if you look up 12 year stats (1, 2, 5, 10, and 12 year stats are easily googled) you will find that many do very well beyond 11 years. But, many do not. Many look at wls as a diet and when they get to goal they go back to eating garbage. This is a lifestyle change. I totally overhauled my food lifestyle but I'll tell you, without my sleeve even with good foods and my current lifestyle I would be big as a house again because if I *can* eat, I *do* eat. I need the restriction, I need something to make me stop eating. With a stomach the size of a small banana I have no options to overeat. But, if I eat chocolate all day long instead of protein sure, I would regain. Yet when I eat protein there is no room for chocolate. ~~I personally worked with 4 nurses who had it done, and three of the four had regained all the weight back by the time I knew them~~ I believe you. I believe you are telling the truth. However, I have worked with hundreds of people and thousands on line, most have kept the majority of it off. Oh! There is a 3 year rebound/regain of about 10% that is pretty standard for folks. I didn't have that regain until 7 years post op when I was on a very high dose of Prednisone. I gained 20#. The only reason I didn't eat my right arm is because my face was already full of cake and pie. I was sooooooooo hungry while taking that crap. I do not blame myself for the 20# but I do blame myself for not taking it off again, it's actually not a big deal with my sleeve. I don't call a 10% regain failure, I still call it success. If someone loses 100# and regains 10#, I'm not going to knock them for that. ~~My daughter was 325 lbs when she had it done in 2004. I had advised against it, but she did it anyway. I must admit she was very determined, with gym visits and all. She went down to 147 lbs in less then 2 years. Now her last admitted weight was 247 lbs. Go figure!~~ Yep, this isn't a diet. It is indeed a lifestyle change. Did she have gastric bypass by any chance? I do not like that surgery type AT ALL. There is a small population that needs it, that is all they can do. But overall I believe the anatomy of the surgery type sets them up for failure a few years down the road. Regardless of surgery type if someone goes back to old eating habits they *will* regain. ~~What about pills and other drugs they are an over the counter and are part of the 150 billion dollar boondoggle being pulled over on the American people.~~ In the history of the US we have had two massive waves of obesity. The first was in the 50s when processed foods and McDonalds was introduced to the American public and the 2nd was in the 70s when nutritionists told people we eat too much dietary fat. We need a high carb/low fat diet and they are STILL pushing that line of nonsense. WE DID NOT GET FAT FROM DIETARY FAT! We got fat from white carbs. Not all carbs, white carbs. Flour, sugar, rice, pasta, and potatoes. We did not get fat from a juicy steak and a salad with full fat dressing, we got fat from the dinner rolls, pasta, potatoes, rice, cake, pie, cookies, candy, candy bars, Doritos, Cheetos, chips, and the list is endless. Todays science shows we actually need a full fat/low carb diet to do well. What happens when the dietician tells you to give your diabetic patient ooodles of carbs? You increase their insulin. What happen when you increase insulin injections OR produce your own insulin? That insulin turns those carbs into body fat. When happens when you decrease your diabetic patient's carb intake? You need to give less insulin on that insulin scale. You know, the bottom line for those that want to lose weight is to totally, 100% cut out WHITE carbs. Not all of them, just the white ones. Then there are some of us that will still gorge on the good foods and still be fat thus, my sleeve. It works for me. ~~Yet here again, if you are to make it to 80 years old being a bit overweight gives you less mortality potential then if you are rail thin. Enjoy being YOU! You are your own best friend.~~ But but but.... people are no longer just a bit overweight, they are FAT! Dangerously fat. This is the first generation, today, that is not expected to outlive their parents. Now, that is frightening! Totally make sense~ Thank you! Obolacare is the worst thing that has ever happened to this country. Those who are paying the most now have the least access to medical care. Welfare greed. My biggest problem.... well, one of my biggest problems with obolacare is that we now have 30,000,000 illegals we have to cover, that means according to their wording, we now have to ration medical care. A smarter person than obola really needed to do this. Not sure if this is still true or not but as of 5 years ago 50% of all illegals crossed illegally via Arizona, the other 50% through all the other border states combined. I lived in AZ for 25 years and I remember telling people 25 years ago that when people in the midwest started screaming then something would get done about the problem but... by then it would be too late. I was correct. Go after the employers, shut their businesses down and put them in (not jail) but prison. Make sure they know if they hire an illegal they are going to prison and life as they know it will come to a quick end. You will hear a sucking sound as illegals run for the border to go home where they belong. We have FEMA camps, those that don't go home on their own give them a bed in a FEMA camp. Problem solved. I don't know where to put this and it entertains me so I decided on this category. So I put my diet soda in the freezer, two hours later I go back and it is still fully liquid. I open the bottle and watch it instantly freeze into a slushy. How does that work? I get a really cold, yet liquid bottle of water and add s/f Hawaiian Punch (powder) to it, it instantly freezes and turns into a slushy. Seriously, how does that work? First I want to apologize, it sure seemed rude to me that I asked a question and never came back to the thread. I had a heck of a time getting into this section of the forum but Sirl fixed it for me! Oh my gosh, she is my first Beagle, she was a gift when my Shih Tzu died of tongue cancer. I can't believe their little personalities, they are THE sweetest dogs ever! I have heard that time and time again, honestly I never bought into breed vs. personality traits but she proved me wrong. I love this girl! Seriously? Dog food suggestions is vet advice? I was just wondering what worked for others, that's all. Not an option. I am a US citizen living in Mexico. Medical care for humans (in the private sector) is fantastic, not so much for dogs. A vet took care of my cat and I am still *so* angry about it I could spit, still too angry to even write about it. But, there are no vet nutritionists here, at least not in my massively large city. I wonder if I could get something like that on line. I live in a border city and I do have a California PO box. Hmm.... Many thanks to everyone! I have a Beagle Baby, she is my joy! I love this dog! I do not think she is tolerating dog food but I can't figure out what I am missing. She had a sore on her paw, 2 months and it would not heal. I put her on an Atkins diet, chicken breast and steamed veggies. The sore healed in three days. Diabetes? So I took her to the vet and her labs were primo, perfect, not a single lab abnormal. BS was fine. I put her on Pro Plan, the sore on her paw came back. Grrrrrrrrrrrrrr... I need a dog food with no fillers, no grains, no.... heck, I do not know! I am most happy to cook for her, but I know I will be missing vital nutrition if I do that long term. What is my dog food I need to buy? Or, how do I cook for her that will contain everything she needs? She's FAT! But I can't cut her food down anymore. The girl is hungry, on Atkins she is happy and satisfied, no begging. I am at a loss. Any dog lovers that have same/similar issues with answers?